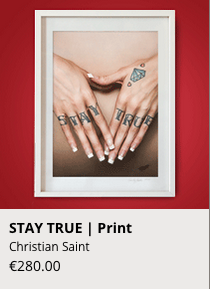 Christian Saint is a professional advertisement, celebrity and fine art photographer. He´s been in the commercial business for over twenty years. Meanwhile focused on the world of tattoo photography, used his knowledge and skills to sucessfully distinguish it. His images have been published in over fifty countries. He lives in Brooklyn, New York.